Put a spring in your step this bank holiday weekend! Summer’s fast approaching and you’re doing everything within your power to get the perfect beach body. You’re hitting the gym every night and eating the human equivalent of rabbit food in a desperate attempt to lose those lingering love handles. You’ve completely cut out alcohol and you’re living as a hermit. You don’t need new fangled diets or crappy cross trainers to make you happy. 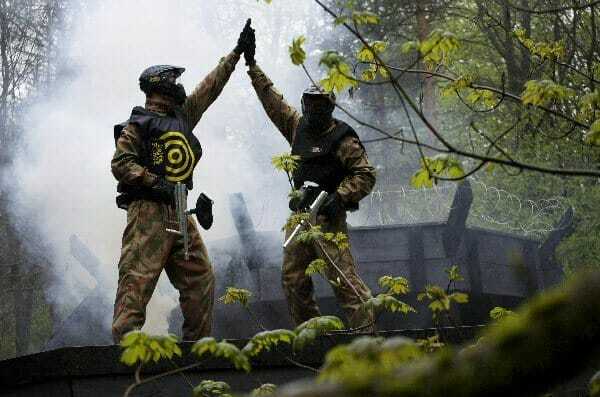 What you need is an action packed, adrenaline fuelled outdoor activity with friends, family and optional paint grenades. Rather than losing weight, lose your inhibitions. 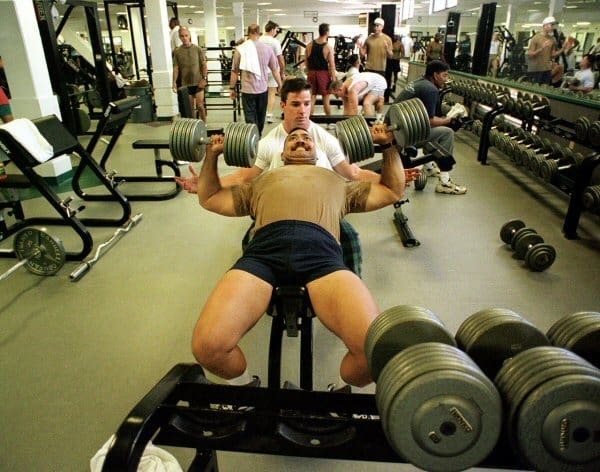 Rather than building muscle, why not build a team? It’s a scientific fact that winning a game of paintball is eleven times more satisfying than losing three stones of weight through dieting. We can’t remember where we read it, but it’s definitely out there somewhere. Here’s another fact: No amount of quinoa can ever compare to the feeling of winning your first paintball game. I mean come on, what would you really rather be doing? Charging around a Hollywood inspired paintball game zone with an M16 paintball rifle or desperately sweating your way through your 23rd spin class of the month? Does your gym have original props sourced from blockbuster movies such as James Bond hit Casino Royale or Tom Cruise thriller Edge of Tomorrow? No, but each of our 32 paintball centres do. Follow in the footsteps of major celebrities such as Wayne Rooney, Elle Macpherson and Michelle Rodriguez this bank holiday weekend and treat yourself to an unforgettable day at your local Delta Force Paintball Centre. We promise you won’t regret it. Ready to book a day of paintball? Then why not call one of our friendly event coordinators 24/7 on 0203 869 9301 Alternatively you can visit our booking page to request a call back. *You’re probably not a moron so this does not apply. If you are a moron then you probably haven’t realised that we poked fun at you. So again, this does not apply.